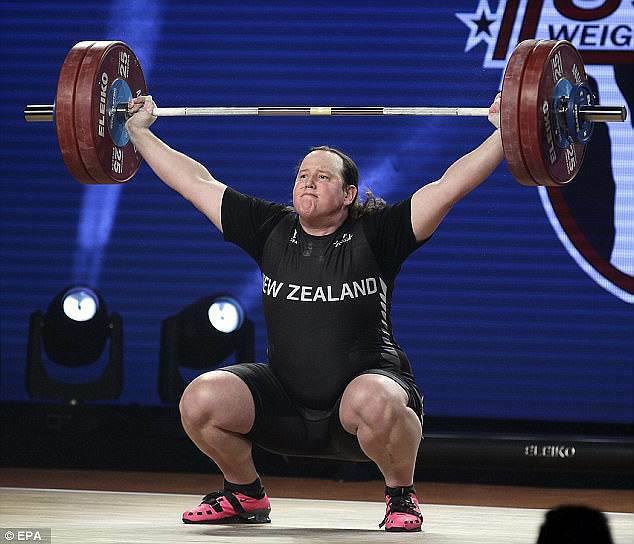 New Zealand's first transgender weightlifter Laurel Hubbard will be competing soon at the Commonwealth Games - however an expert warns she might have an unfair advantage. "It will depend on the individual's physique and it would depend on the sport we're talking about," Otago University professor of physiology Professor Alison Heather told RadioLIVE on Friday. "A man transitioning to a female has physiological advantages that they take into their new female life." Ms Hubbard is first transgender athlete to represent New Zealand at international level and she will compete in the over-90kgs category. She competed at national level as a man before transitioning in her mid-30s, and complies with all physical conditions put in place by the International Olympic committee. However her entry has caused a storm of controversy across the ditch. Australia's Weightlifting Federation CEO Michael Keelan wanted Ms Hubbard banned from competing at the Games, writing that weightlifting is "not a competition among individuals of various levels of testosterone". And Prof Heather says there are other advantages that Ms Hubbard might have as a result of her transition. "Males will generally have a bigger heart which will allow them to have a bigger cardiac output, they will have bigger lungs which will allow them to take up more oxygen," she told RadioLIVE. "They will have stronger bones and bigger bone structure... and males will normally have more muscle mass. "While transitioning from male to female they'll lose some of that mass, but they'll still have muscle memory which means it makes it easier for them to put that muscle back on." New Zealand Olympic Committee CEO Kereyn Smith has hit back at the statements suggesting Ms Hubbard should not be allowed to compete. "She meets all CGF, IF, NZOC and OWNZ criteria for selection and participation and is within the IOC Guidelines that have been designed to balance an individual's right to compete while ensuring a fair field of play," she told Newshub. While Prof Heather thinks it's admirable event organisers are "trying to be inclusive", she doesn't think it's fair that organisers aren't considering all the relevant factors. "I think there's a lot more than just testosterone that needs to be considered for deciding whether someone can compete in the female division," she says. "People have not studied transgender athletes enough to say whether they do have an advantage or don't have an advantage." Ms Hubbard is personally dismissive of the criticism she has received. "Look, I've heard that and I think it's incredibly disrespectful to the other competitors," she says. "I don't believe there is any fundamental difference between me and the other athletes, and to suggest there is, is slightly demeaning to them."